The lack of anesthesia services is a well-described crisis in resource-constrained settings worldwide. The consequences of this gap are that millions of women are unable to access emergency cesarean section and other critical reproductive health procedures. The burden of disease and disability resulting from a lack of anesthesia services is unquestionably staggering. Ketamine is an innovative and safe solution that allows emergency operations to proceed in cases when no anesthetist is available. The ESM-Ketamine project is rapidly growing and we anticipate this to greatly contribute towards addressing the anesthesia gap crisis during public health emergencies. This innovation is in no way meant to replace anesthetic care but offers a stop-gap measure while more permanent efforts are made to address the lack of anesthetists. In response to this immense problem SCH hosts a Ketamine Week once a month to train providers and regulate the use of Ketamine as an anesthetic. The most recent Ketamine Week took place from May 28th to June 1st, 2018. SCH was pleased to host ten participants (4 observers and 6 Ketamine Trainees) from Turkana county for the first time. These participants were Nurses, Medical Officers, Program Officers and Clinical Officers. Six of these participants were trained as providers and we are happy to report that all of the providers were successfully certified at the end of the week. Throughout the week sixteen surgeries were performed while Ketamine was used as an anesthetic for training purposes. Our trainees had the opportunity to be the sole Ketamine providers for surgeries on Wednesday and Thursday. 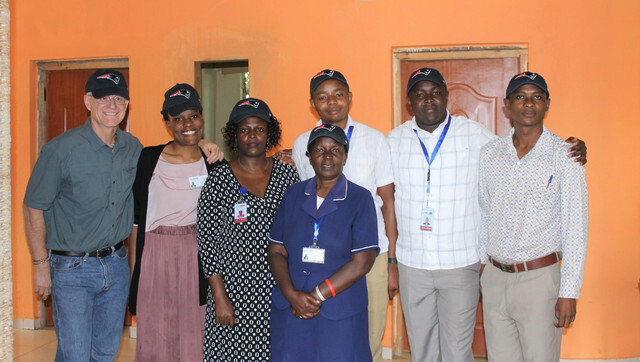 Visitors from USAID joined in on the first day of Ketamine Week. 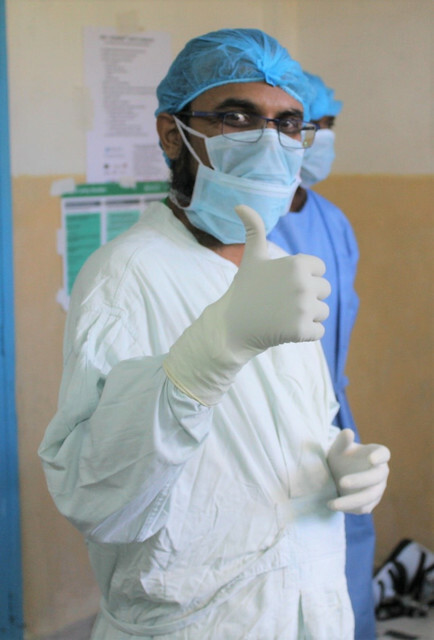 One of our Surgeons, Dr. Taha. 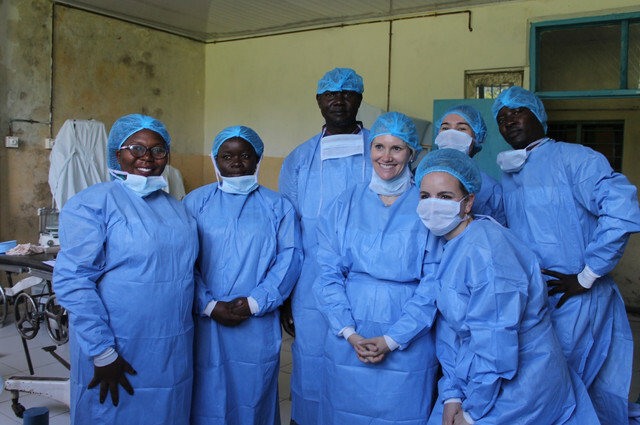 We wrapped the week up on Friday with two morning surgeries followed by lunch and the graduation ceremony. 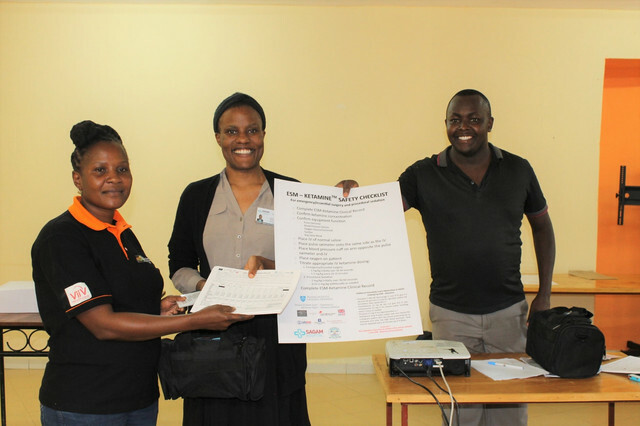 Participants were presented with certificates followed by dancing and delicious cake, baked by our very own administrative manager, Judy Odhiambo. The presenting of the certificate during the graduation ceremony. A special thanks to all the SCH staff members that helped out during Ketamine week. This is including but not limited to Javan Imbamba, Wenslaus Adenya, and Juma Jaqtone. Also a big thanks to Dr. Taha, Dr. Ligeyo, and Dr. Nyamogo, the surgeons here at SCH for without them we could not have had such a successful Ketamine Week. And last but not least we would like to thank Afya Timiza for supporting the training of the Participants.